If you’ve read my blog for long, you know that despite having no children of my own, I do spoil the little ones in my life. My best friend’s son turned five on Thursday. Last year, everything was about the pirates and I made him this. This year? It’s all Star Wars, all the time. 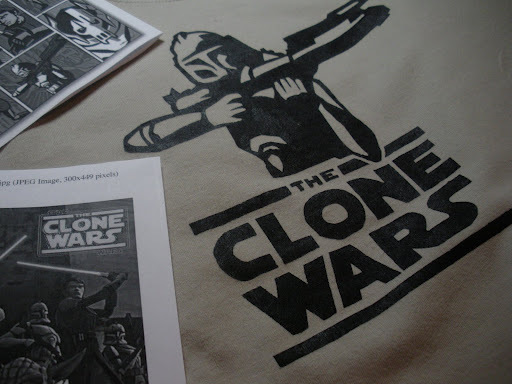 I had to Google what a “clone trooper” was (his Halloween costume) because I am of the original Star Wars generation, being just seven years old when the first movie came out, and I’ve only seen one other Star Wars film beyond that first one. I like the original. But…Star Wars, I’ve found out, has come a long way since the C3PO and R2D2 and hunky Han Solo of my youth. 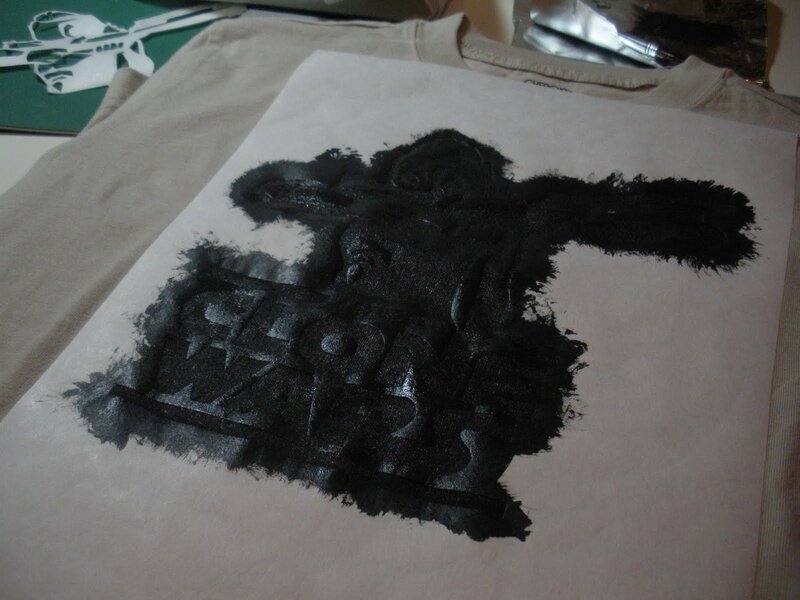 Ironed it on to the t-shirt, and ironed on another piece of freezer paper to the inside of the shirt front, for stability and as a paint blotter for any that might seep through. stippled paint on for about a half hour making sure everything covered evenly… Waited patiently over night to remove the stencil…and VOILA! An original Doris Screenprint! 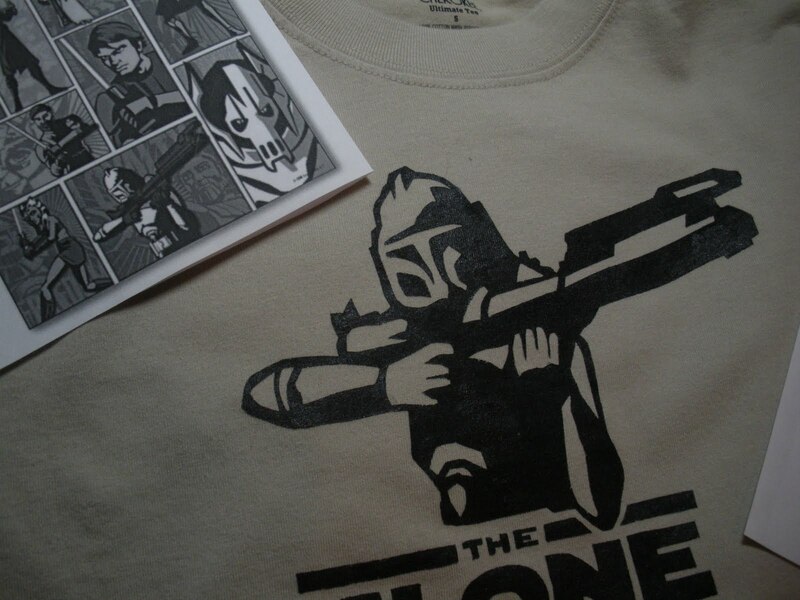 I wish you could see this and touch it, it really does look just like a professionally screen-printed design! Not bad for a girl who didn’t know what a Clone Trooper was a week ago, huh?!? His Star Wars/Lego birthday party is today, and I can’t wait to give this to him! 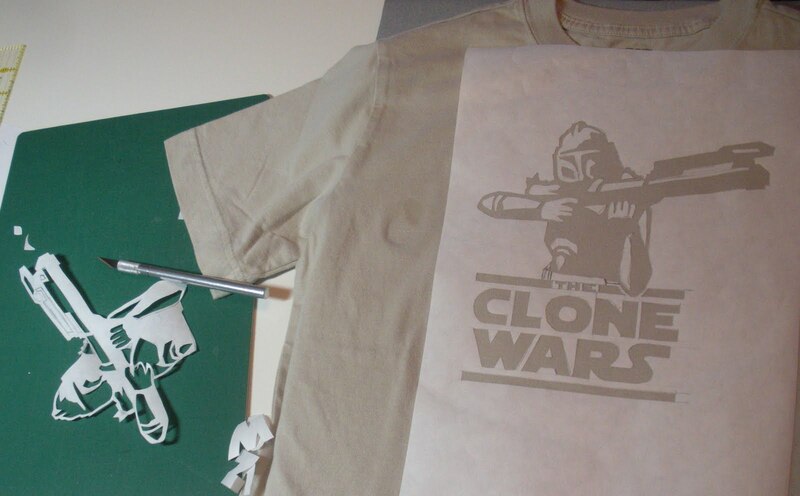 I also have several more “screen print” designs in mind for future projects. I'm very impressed. I had no idea this was possible. It's the perfect boy gift. Good for you! Very well done–it looks great! Way to go! 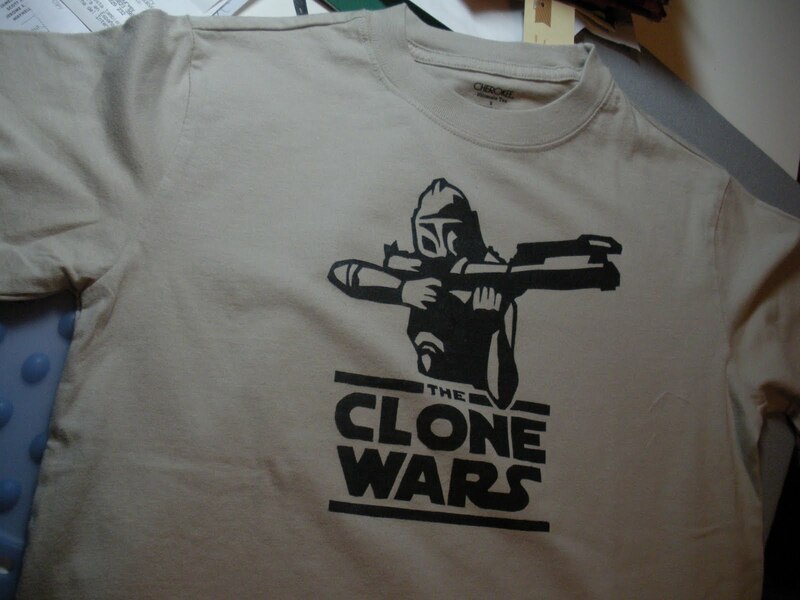 This looks like a professionally printed T-shirt! I am so gonna try this. Thanks for sharing! What a thoughtful gift. Now he'll want you to make one for all of his friends too!